Founded in 1990, the European Network of associations fighting against poverty and social exclusion (EAPN) is an independent network of associations and groups involved in the fight against poverty and social exclusion in the Member States of the European Union. 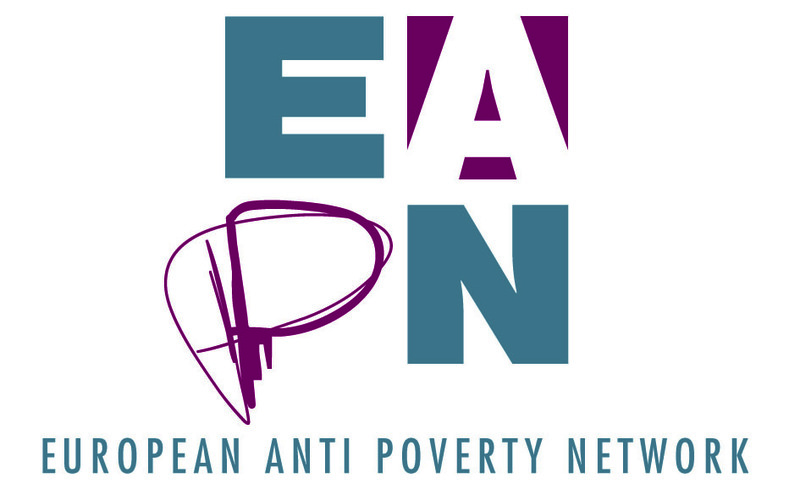 EAPN is composed of 25 national networks bringing together groups and associations active in the fight against poverty in all Member States of the European Union; and of European organizations whose main activity is related to the fight against poverty and social EAPN has consultative status with the Council of Europe and is a founding member of the Platform of European Social NGOs. – The fight against poverty and social exclusion, through education, training, provision of services and activities to increase participation and empowerment of people in poverty and social exclusion. – put poverty and social exclusion in the center of political debate in the European Union and make it a priority for all EU policies: the structural funds policies in employment, but also the economic and monetary policies. – Representing and campaigning: As part of the European strategy against social exclusion, EAPN is one of the interlocutors of the European institutions. – Analyse: policies and programs of the EU that may have an impact on people living in poverty and social exclusion and maintain links with the research sector to improve understanding of poverty and the social exclusion within the European Union. EAPN develops proposals for the Community institutions. – Inform: the EAPN website is the reference portal on poverty and social exclusion in Europe. A magazine (Network News), and a bimonthly newsletter (EAPN Flash) reflect the life of the network and the news of the European Union, as well as programs and initiatives which members of EAPN are likely to participate in. EAPN also produces information material on poverty, social inclusion, employment, social protection, the Structural Funds, the future of Europe, etc..
– Exchange: EAPN organises working groups and transnational seminars. The network also serves as a hub for information exchange on national policies for social inclusion. EAPN supports the establishment of partnerships among its members and beyond, and links with civil society in the candidate countries for accession. – Training: EAPN organises training sessions open to members on networking and European policies. – EAPN works for a Social Europe free of Poverty and Social Exclusion in which access to economic, social and cultural rights is a reality for all. – There must be a more equitable distribution of wealth in Europe ; access to quality jobs ; high levels of social protection , we must fight against all forms of discrimination ; encourage effective participation, through the organizations in which they are, of people living in poverty and social exclusion. EAPN is supported by the European Commission. 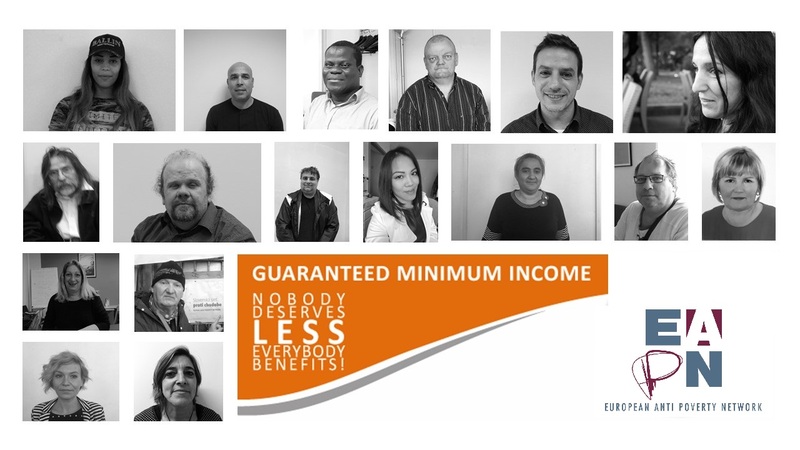 [Petition] Guaranteed Minimum Income Schemes: Nobody deserves less, everybody benefits!